RunDoyen exists to help runners of all levels get faster and reach their goals. Whether that’s completing your first 5k, qualifying for the Boston Marathon or even the Olympic Trials, we have the top coaches in the industry ready to provide the personalized training you need to get there. Since there isn’t one coach or training plan best suited for every runner, we are focused on helping you find the right coach that matches your individual needs and goals. When we do this, we’ve seen incredible results from our athletes. If you want to get faster and improve as a runner, you’ve come to the right place. Get started by getting matched (100% free) to see how we’ve helped hundreds of other runners reach their individual goals. Don’t believe us? See what some of our current customer athletes have said on Google Reviews. In a world of apps, algorithms and cookie-cutter training plans, the most effective way to train is still with the guidance of a real, human coach. To help find the best one for you, we’ve recruited some of the Top Running Coaches and Pros in the World (“The Doyens”) with diverse backgrounds and experience. They are ready to be YOUR coach through our integrated online training platform which makes it easier than ever to connect through our Coaching Services. 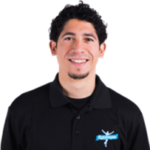 In addition to Running Coaches, we have a Nutritionist (Will Benitez) and Physical Therapist (Michael Herrera) who are among the top specialists in their field focused on helping runners. Will Benitez is a professional Nutritionist focused on helping runners optimize their nutrition for improved energy, recovery and health. 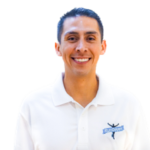 Michael Herrera is a Dr. of Physical Therapy who helps runners get stronger and prevent or recover from injuries. 5 Stars on Google Reviews! "There are so many coaches on the internet, but RunDoyen's coaches come with so much success & experience. I know that Ryan has seen just about every situation- so he advises me from his own personal experience and just experience in the running world. Couldn't more highly recommend working with these coaches! They know their stuff & they will bring the best out of you!" "RunDoyen was quick and easy at matching me with a coach that fit my running needs. They quickly matched me to coach T.J. who coached me to my first marathon in which I also BQ'd. When I am ready to train for Boston 2020, I plan on training with T.J. again as it ended up being a great match for my running needs. Plus T.J. is a cool person on top of being a great coach." "RunDoyen is seriously is a one-stop shop for running experts, and I couldn't be happier with my experience!" "My runs automatically load into the app once my watch syncs, then I can go in and make notes about how I felt, the weather, the effort level, etc. I'd definitely recommend RunDoyen for any runner looking to get to that next level!" "Mark Hadley is awesome! I tried a different coaching service before this and this one is much better. Would definitely recommend this service." "I've been a client of RunDoyen coach Mark Hadley for several years and I cannot say enough great things about my experience. In addition, the RunDoyen platform provides an easy way for me to connect with my coach on a regular basis and I highly recommend their services!"